THE FACE SHOPDaily Perfumed Hand Cream Soft texture melting giving soft and moisturized hand. Light hand cream to choose with mood of the day. 01 Rose WaterCitrus rose, Bulgaria rose scent. Contains 90mg of rose extract.02 TiareTiare, Jasmine scent. 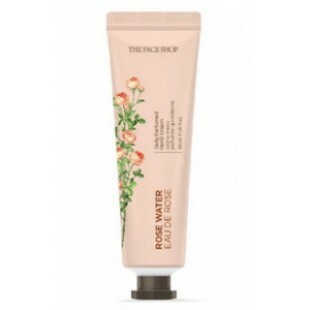 Contains 90g of tiara extract.03 Apple PopRed apple, pomegranate apply candy scent. Contains 90mg of apple extract.04 Berry MixStrawberry, Raspberry scent. Contains berry mix(cranberry, blueberry, blackberry, raspberry) extract 90mg.05 Green TeaCitrus, lemon, green tea scent. Gel type texture. Contains 90mg of green tea extract.06 Cherry BlossomCherry blossom scent. Cherry blossom 90mg07 Macadamia Rich nutrition non sticky soft texture. Amber vanilla scent. Contains macadamia seed 90mg08 Acacia HoneyHand crema with honey rich nutrition. Acacia honey scent Contains honey extract 90mg09 ORCHIDA delicate lime-scented hand cream that softens your dry hands like orchid petals10 Snow CottonA fresh, soft scented hand cream that moisturizes and moisturizes your dry hands.HOW TO USEAfter washing hands apply every time when you hand feels dry.